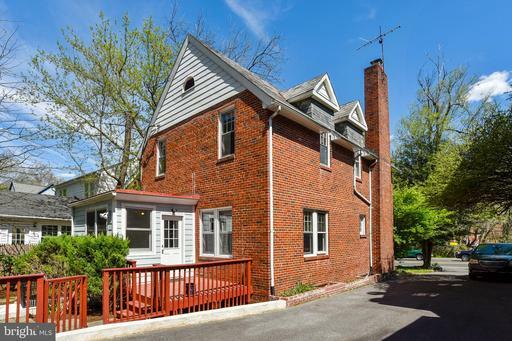 Delightful All Brick 1938 Colonial with slate roof and side window mansards that will surprise you with its size, warmth, and grace. 9-foot ceilings, wood floors, and a wood burning living room fireplace make an irresistible appeal. The huge dining room will make you the favorite to host family events with bright sunny windows and room for a table for 10. The updated kitchen has super white cabinets, attractive tile floor, and recent stainless appliances. The grey granite counters are expansive and contrast well with white cabinets and black and white tiled floors. Theres front porch for sheltered entry and a rear sunroom with 1/2 bathroom and room for a breakfast table overlooking the garden. Upstairs 3 well-sized bedrooms and two bathrooms all set off by beautiful wood floors. The bathrooms are tastefully updated throughout. On the Lower Level, a large carpeted Recreation Room has a den off it that may be used as a Guest Bedroom, and theres a remodeled bathroom here too! A laundry room with storage and a rear exit makes for more convenience. Economical gas fired radiator central heating is featured-great for allergy sufferers. Central Air Conditioning is featured not on the basement level. The two-tiered fenced rear garden is great for entertaining with a large flagstone patio with outdoor fireplace insert, flower beds with hydrangeas and winter hazel, with room for a picnic table. Theres a deck off the sun/mud room and the upper tier has room for games and fun and all surrounded by a fence for security. 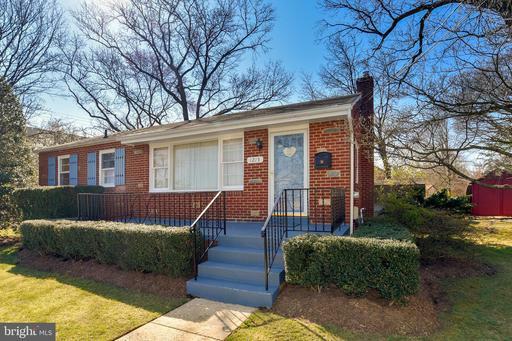 A large 3/4 car deep driveway shared but wide enough for two cars leads to a charming garage. 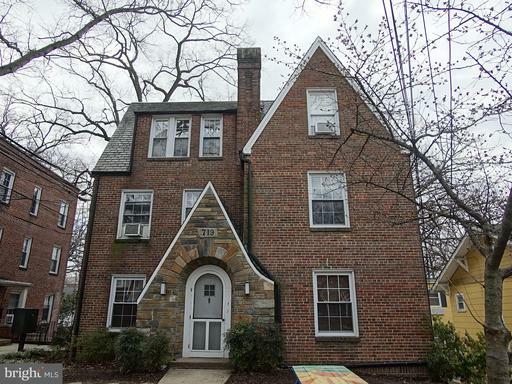 You are just 0.7 of a mile from Takoma Metro Station and a short stroll from the City Library, Town Hall with a myriad of activities, and a short ride from Takoma Cooperative and Silver Spring Whole Foods. Street parking is allowed in front of the house and the road is wide here. You will be amazed at how roomy and full of character this home is with a top class location. Dont delay on this one! 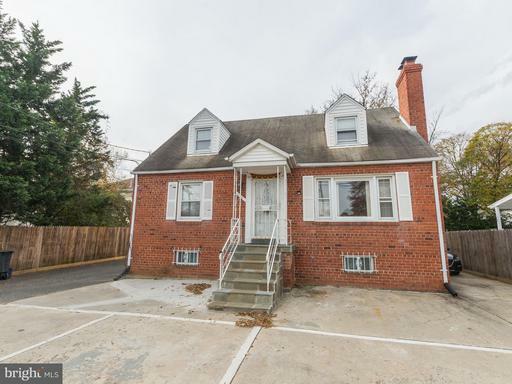 Move in Ready Condo Close to Buses/Metro!Located in an attractive Tudo Style building thats a short stroll to Sligo Creek Park and buses to Metro and other destinations! Its a true 1BR thats well updated with granite/stainless kitchen, washer/dryer combo, and attractive wood style tile floors. The condo has its own exterior private entrance. Great value! Reasonable $324 pm condo fee includes heat, hot water, and water/sewer.Enjoy central radiator heating for an even and gentle heat that is great for allergy sufferers. Theres a walk in storage unit in the rear over the garages that isassigned to Unit 7. You are in the City of Takoma Park and just 0.9 of a mile from a Purple Station currently under construction at Piney Branch Road and Arliss Street and expected to Open in the Fall of 2022. The Red LIne Takoma Metro is just 1.7 miles and there are the local ride on buses to there and downtown Silver Spring Metro Station just over 3 miles away. One small pet is allowed per unit and there is limited off-street parking available 8 unassigned spaces and on-street parking. Theres a Gambian Restaurant with a cool bar around the corner and its a short trip to Historic Takoma restaurants and the Food Cooperative. This is a unique condo building with great character, built in 1937 and converted to condo circa 2007 that reflects a bygone time in a popular city that so convenient to commuting and living. Annual Property Tax Bill 2019 $2,0004. Square footage of unit = 429 square feet. Condo fee $324 pm covers heat, hot water, water/sewer and common area maintenance. 1 small pet allowed per unit Registration required. Shared parking available in rear + street parking. 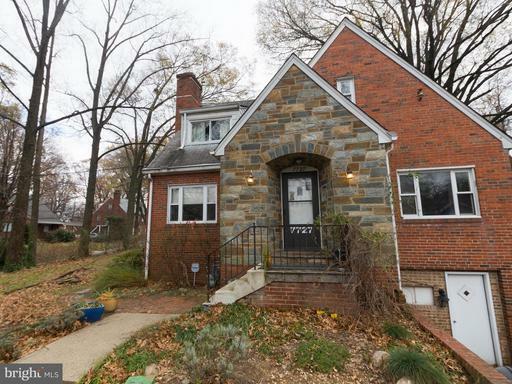 0.9 of a mile from future Purple Line Station - 1.7 Miles from Red LIne Takoma Station. RCN and Comcast Cable Available at Condo. Large Storage Unit #7 above garages in rear. 23,958 square foot lot zoned RLD Rural Limited Development that had a previous home on it so should be grandfathered for a house in a secluded location thats a 2-minute drive from Weggemans at Waugh Chapel Towne Centre and Route 301. No perc test done - had previous well and septic. Owner will consider financing. Priced below assessed value. Lot has access right of way from Jackson.